Brilliant ,minutes to make , no baking required, keep in fridge, great for snacks and for lunchboxes . 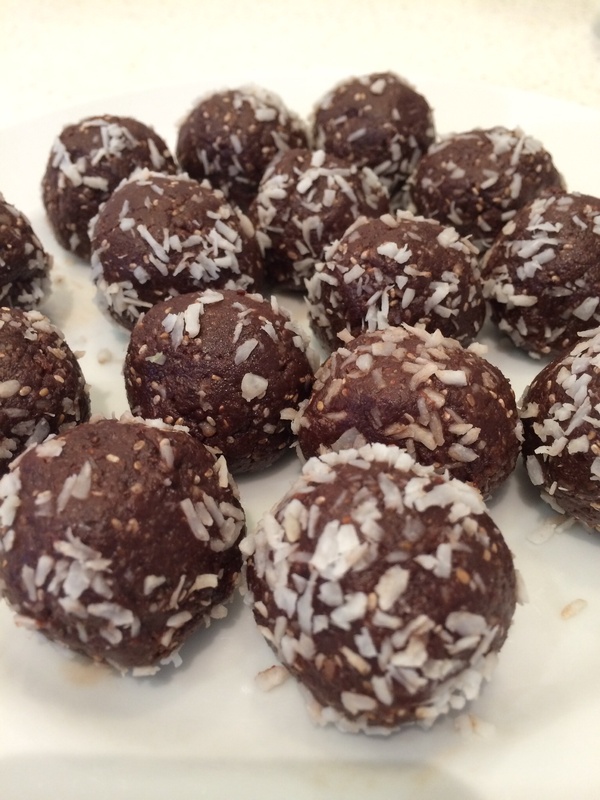 These paleo raw organic cacao balls are soooooo good. Processed simply in 20 seconds in thermomix and then hand rolled into coconut. Kept in the fridge they are perfect sugar free sweet treat for lunch boxes and coffee or morning tea. Miss 8 said “so yummy… I like the chocolate centre” Ground raw almonds to flour, then added medjool dates, coconut oil, chia seeds and cacao powder. Recipe link below from the thermomix community. 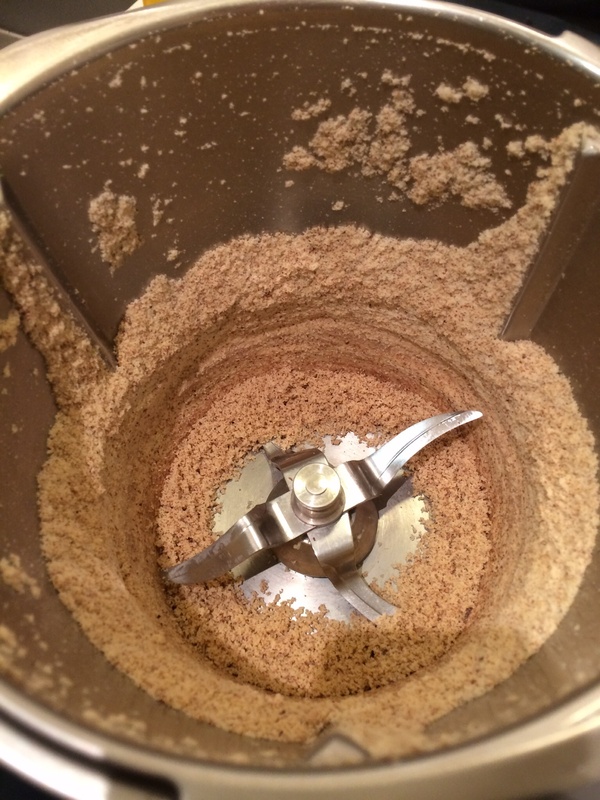 It’s only takes seconds at speed 9 to convert raw almonds to almond flour.